Netflix has never, and at least according to its higher ups, will never, release ratings. In other words, Netflix doesn’t want to tell you how many of its subscribers are watching its original programming. Since it doesn’t sell advertising, it doesn’t need to. Also, in the past, Netflix has acted as though it’s not even a metric they really care about around the office. Whatever Netflix. So, in lieu of knowing actual figures, we have surveys. The newest one comes from RBC analyst Mark Mahaney (via Re/code). 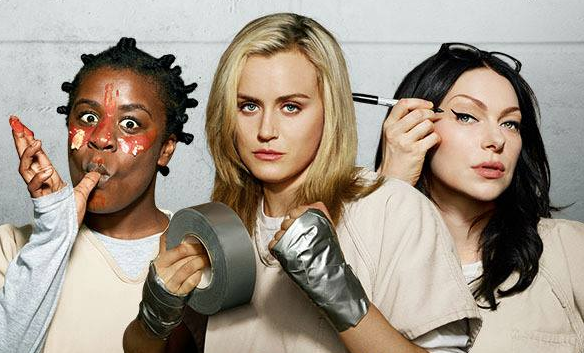 As of August, Orange Is The New Black is the most-watched Netflix original with 57% reporting some viewing. House of Cards comes in a semi-close second at 45%. New shows Daredevil and Unbreakable Kimmy Schmidt have 23% and 22% viewership, respectively. OITNB being cream of the Netflix original crop isn’t that much of a shocker. In the past, Netflix has said it was the most-popular original. Of course, one huge flaw – or at least limitation – of this survey is the only metric is “have watched”. Not word on whether they finished the whole series, or only watch an episode or two. Also no word on how they felt about the shows, but the semi-consistent figures over the past few quarters proves these shows aren’t plunging in popularity. Last fall, a massive survey of over 30,000 people found that 61% of Netflix subscribers have watched at least some of the company’s original programming. Maybe, someday, Netflix will let us know who’s watching its shows. Probably not. But until then, we have surveys.